Abbiati: Bald is beautiful. He’s come under criticism from fans, including Galliani this year, but considering the team he’s got in front of him, he’s a miracle worker. Also, anyone remember Zenit? I know I do. Amelia: World Cup Winning Keeper. A very strong second keeper. Again, I can only imagine what he could do with a better team in front of him. Always ready, he’s made some amazing saves this year. Abate: Bart Simpson’s goody-goody brother. This guy works so incredibly hard, and is beast on defense. Strong, fast powerful, he gives 110% in every match. Acerbi: The Man Behind the Mole. Some surprisingly good performances, being so young, I am actually very excited for his future. Strong and confident, I have already seen growth this season. Antonini: Best haircut. One of the nicest guys in the squad, and has had his best performances when it counts: in the big games. Bonera: Barca’s Nemesis. The oft-maligned center back actually put in quite a few good performances this year. His calm presence at the back has been an anchor in the storm of transition. 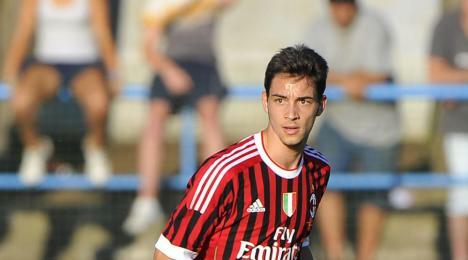 De Sciglio: Serious Dance Moves. What’s not to love? What a blessing to come into this team at this time. Skilled, poised, and wise beyond his years. Mesbah: Milan’s own AFCON hero. The rarely seen Algerian left back is strong defensively, with so little time on the pitch, it’s hard to know how much he really can do. His determination to stay at Milan through two transfer markets so far has been his trademark, gotta love his commitment. Also the only Milan player at AFCON this year. Mexés: Goal of the year. In addition to being one of our strongest center backs – experienced, athletic, good in the air, he is not quite perfect, but he’s pretty consistent. Yepes: Colombian God. Has been in great form this season, showing speed defying his years. My favorite center back this year hands down, he pairs up well with anyone, too. Zapata: Colombian Gold. Following in his elder Colombian center back’s role, but with youth and quickness on his side. Having been transplanted from La Liga where he played as a full back, his growth and transition are evident this year and it is clear that Allegri can call on him when needed. Ambrosini: Il Capitano. Like a fine wine that just gets better with time, he has been like a beacon in the night this season both on and off the pitch. His skills may have been underrated amongst so many champions, but his quality is indisputable this season, and a comfort to his teammates and fans. Boateng: Poster Boy Against Racism. With plenty of playing time, he has had plenty of shooting practice, too, and is now settling in well into the role he probably plays best at. Allegri’s faith in him is finally reaping rewards, with back to back assists his last two games. De Jong: Baby, Come Back! Mr. Defensive Midfielder himself, with amazing passing skills, good tackling ability and good vision. Despite his reputation, he is a great guy, too. His season ending injury was a huge tragedy, can’t wait for him to be back next year. Emanuelson: Best Left Back-Trequartista-Second Striker-Midfielder-Any Position Ever. Remember when Allegri played him at so many different positions? At least he saw a lot of playing time. He is just what we’ve been missing this year, speedy, hardworking, a great passer, and perfect teammate. Benching him is a crime, he’s got game. Flamini: The original French Connection. The man took a paycut of around 60%. He’s part brute, part tough guy, but he’s done enough to warrant 9 appearances in all competitions and zero red cards this year. C’est formidable. Montolivo: Dreamy. The deep lying playmaker to replace the one Allegri never wanted, he has been a tremendous force for good in our midfield. Fantastic passing skills, surprising defensive skills, and stronger than he looks, he has been key in tying everything together this season. Muntari: Sulley Monster. Despite an unfortunate injury and resulting surgery that kept him out most of the season, Muntari is coming back. Watch out. The man has a leg that shoots rockets, he is tough as nails, and the love of Allegri’s life. Expect to see more of Sulley soon, especially with De Jong out for the season. Nocerino: Legend. Even Pirlo copied him. The bearded wonder is often underrated, but last season’s surprise goalscorer has recently found his form with 2 goals so far. The bundle of muscle and energy works hard in every match he plays in, and despite not really fitting into Allegri’s preferred 4-3-3, he is fighting his way into the lineup. Also very easy on the eyes. Traoré: Ooh la la! Scouted because of one goal last year at African Cup of Nations, little was expected of him. But after coming back from injuries, he has recently surprised with a few minutes and is quickly adapting to the Italian game. Part of our Fearsome French Five. El Shaarawy: Egyptian God. The boy Pharoah will rule the world someday, and that day seems to be sooner rather than later. Our leading striker, with 17 goals and 4 assists in all competitions, he is also our best defender. And our best everything. Confident but not conceited, sensational, but not selfish, he is the best thing to happen to Milan (and possibly football) EVER. Bojan Krkic: Pint sized Power. The diminuitive former Barca and Roma player has not had nearly enough playing time for my taste. He struggles in certain positions and formations, and is simply stellar in others. 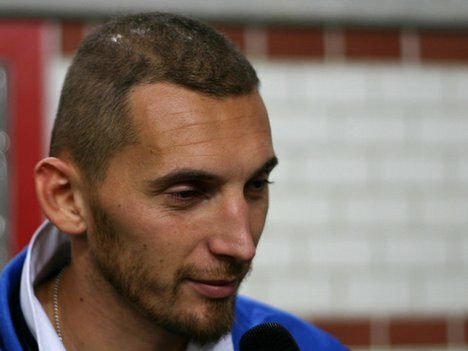 Also gets bonus points for his quote saying he had learned a lot about football at Barcelona, then he came here and Galliani told him to do other things. 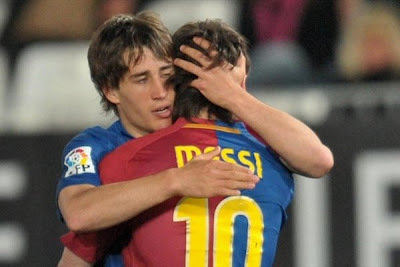 You go, Bojan. Niang: aka Bakaye Traoré, it depends who’s asking. This player has come from the future to teach Allegri and all doubters that 18 year-olds can be champions. Fast, very strong, and a hunger for goal that makes fans drool, he is only lacking the playing time to show the world he is the next French superstriker. Pazzini: My hero. The Inter reject looked to find redemption here on the proper side of Milan, and he is redeeming his sordid past with goals this season. Despite some fans being slow to embrace the crazy one, he works hard and uses his size and strength in the box to help others create goals, too. Robinho: Samba soloist. With most of the other Brazilians desaparecido, Robinho now has the chance to fly the Brazilian flag in style. With 3 goals and 3 assists, his experience and quality have really helped to shape our attack. Petagna: Bomber. His 5 minute appearance at home vs. Zenit is enough to warrant me rating him here. He has been phenomenal for both the Primavera and the Italy U17 NT, becoming a scoring machine. He and fellow phenom Cristante have been promised a spot on the first team next year, let’s hope management follows through with this one! Now it’s your turn. How many nice things can you say about the players? The easy ones are one thing, but I double dog dare you to say something nice about the less gifted/less popular players, or about the players you particularly don’t care for. Double. Dog. Dare. Your move.